Quick Overview: Die formed graphite ring are made of expanded graphite without any filler or binders. No special corrosion protection is required. In general, it has square section and has V shaped and wedge shaped section. 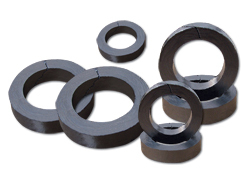 Die formed ring are made of low-sulphur expanded graphite without any filler and binders. They are compressed in precise moulding tools to the required density. Due to the high purity of the material, no special corrosion protection is required. In general, it has square section and V-Shaped and Wedge-shaped section. Mould from pure flexible graphite with reinforcement, the insert materials stainless steel foil or mesh etc. Corrosion inhibitor acts as a sacrificial anode to protect the valve stem and the stuffing box. 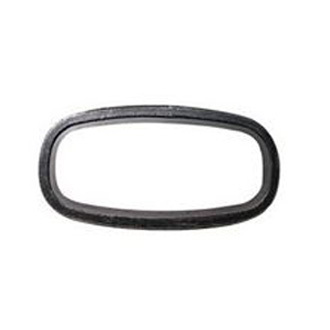 Die formed graphite ring are made of expanded graphite without any filler or binders. No special corrosion protection is required. In general, it has square section and has V shaped and wedge shaped section. * Bear violent alteration of temperature and pressure. * It is ideal packing for valve and static seal in almost all applications. * Can be used as stand-alone packing or combination other packing rings. * It has all properties of expanded graphite. * The reinforced materials can be changed. CopyRight @ 2015 Copyright @ 2015-2016 Rubber & Gasket Supplies Co.,Ltd. All Rights Reserved.